Let’s try that again, shall we? The original NVIDIA SHIELD TV is now set to receive the update to Android Nougat (and SHIELD 5.0) as early as today. After a bit of a mix-up with notes being posted to the wrong SHIELD TV page a couple of weeks back, we now believe this to be the real deal. It’s Nougat time! In this update to Android 7.0 Nougat, original SHIELD TV owners are getting the big software update that the 2017 SHIELD TV receives out of the box. It brings the Amazon Video app, NVIDIA Games app, upgrades GeForce Now performance, adds GameStream 4K HDR, access to the Nest app, and Nougat, of course. New Nougat features include a double-tap on home to open a recent apps menu, new settings menu, and picture-in-picture support. The full details can be found below and at the source link. The update is dated 1/26/2017, so it really should start rolling out today. Stream thousands of popular movies and TV shows in up to 4K HDR. Watch exclusive Amazon originals like The Grand Tour with an Amazon Prime Membership. 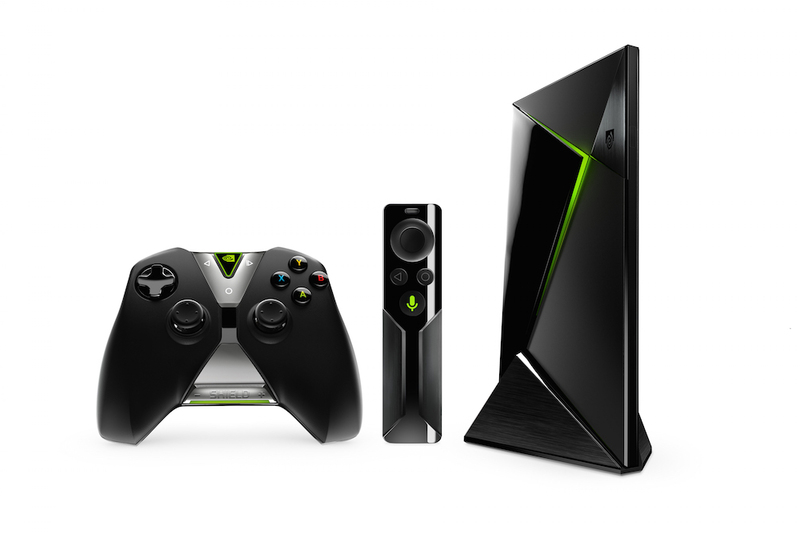 NVIDIA Games is the new way to find and play a huge library of amazing games on SHIELD. Here, you can access GeForce NOW games, exclusive Android games, and NVIDIA GameStream games. Plus, all the games that you install or play will now show up in the games row on the SHIELD home screen. NVIDIA Games replaces the former SHIELD Hub app and its associated home screen tiles (SHIELD games, GeForce NOW, and GameStream). This update will be a staged rollout and will happen over the next few weeks via app update on the Google Play Store. Now, you can instantly play on-demand PC games with performance up to GeForce GTX 1080 gaming graphics in the cloud. NVIDIA GameStream has been upgraded to provide 4K HDR, as well as smoother, lower-latency streaming. Play your library of PC games and enjoy direct access to Steam Big Picture from the Steam app. View live video from your Nest Cams with the new Nest app on SHIELD. With Nest Aware, you can even watch each camera’s video history. SHIELD welcomes the NFL app, the new Twitter for TV app, Comedy Central, Vimeo, and Viki. Recent apps page: Double-press the home button to quickly access recent apps. Picture-in-picture support: Try it out today in supported apps like Live Channels. New settings menu: Enjoy quicker navigation with the new right-side vertical settings menus. Added Pause/Play button functionality on the SHIELD remote by double-tapping on the volume slider. Added ability to write to attached USB or SD card storage. Added 4.1, 6.1, and 8.1 speaker configurations for Plex. Enabled cast for HBO GO.